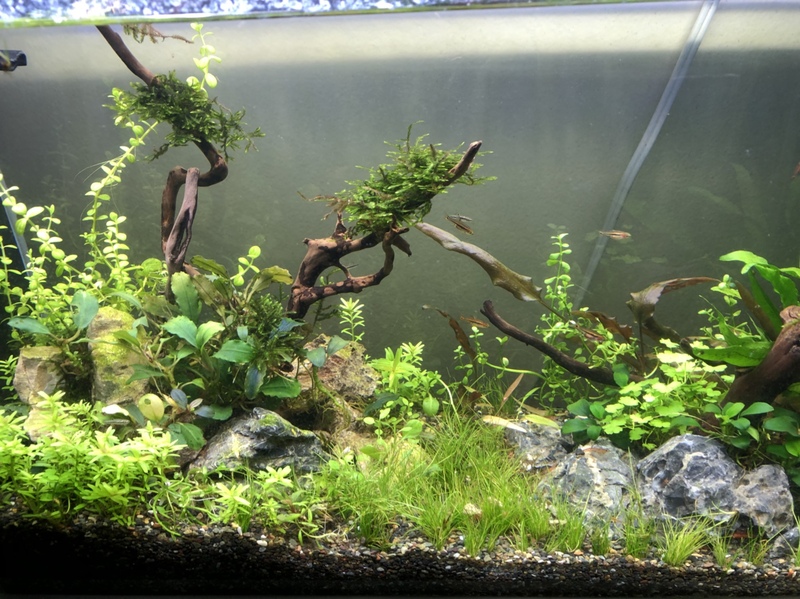 So before this I had a 5 gallon rimless tank... and I’ve posted it before how it looked like. 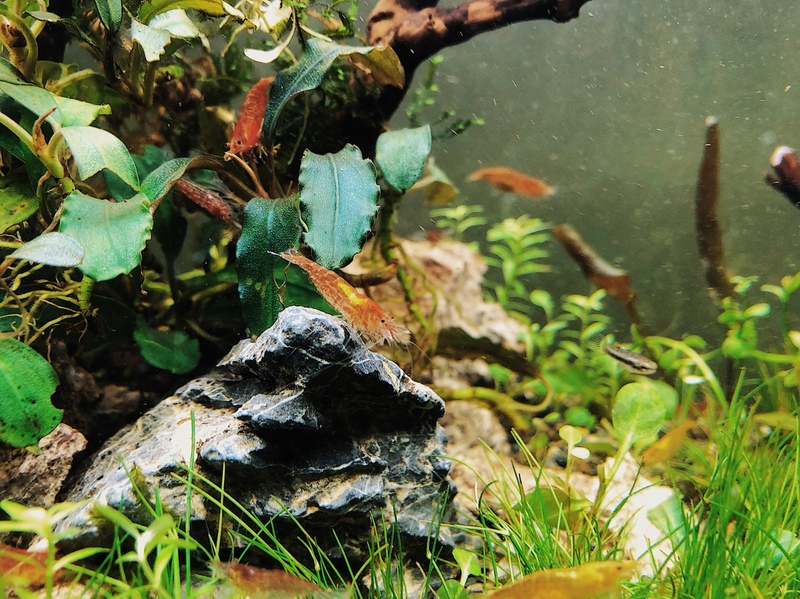 Today I bought a fluval spec off of a member today at the meeting (btw it was so awesome). 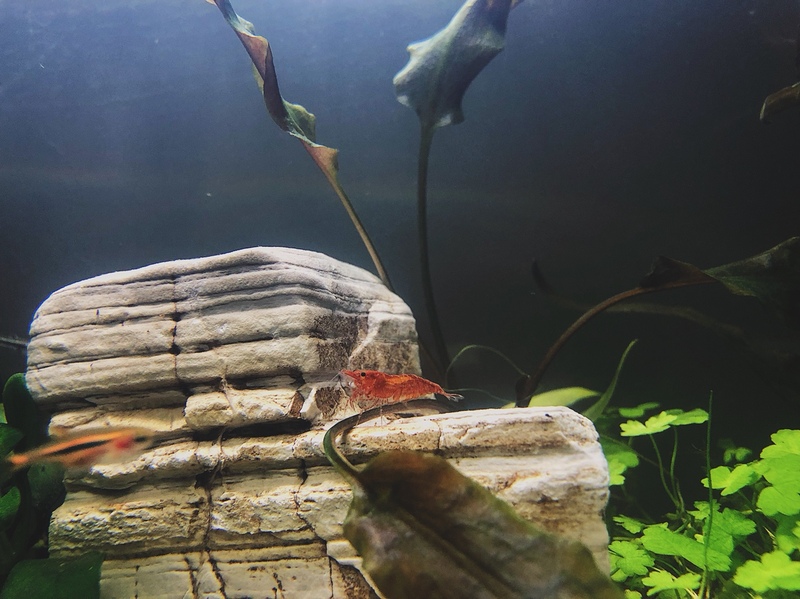 I bought some plants and some wood... I was so inspired today that this was the outcome of the scape... it’s kind of a “parallel universe” type of theme. Let me know what you guys think. I’ll keep this thread updated from time to time to show you guys how much it’s progressed. Thanks! It was also nice meeting some new people at the meeting. Hope to see you guys at the next one! Looks great, better then my setup ever did. I wonder how many other members are spending the next few days with their arms up to the elbow (or shoulder?) in their tanks as a result of the meet... it was super fun and inspirational! I like the shift of gravel to sand, and the little open area. 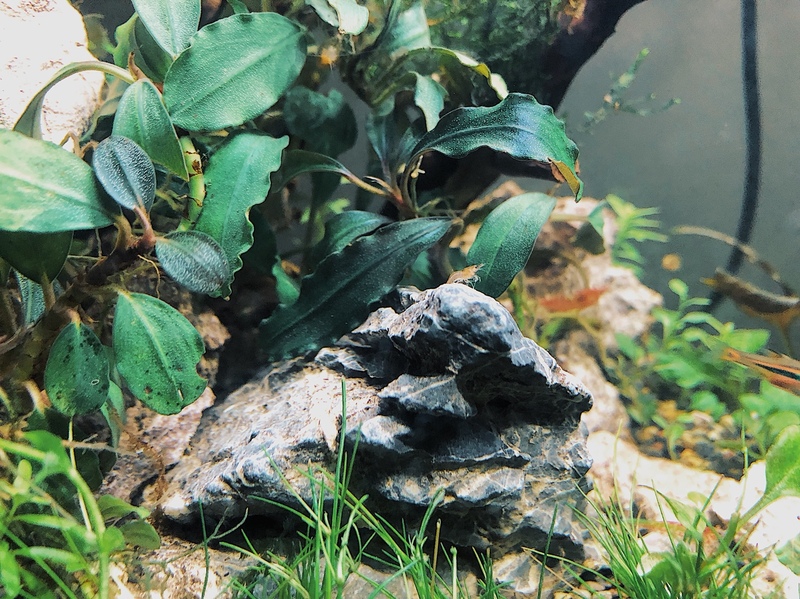 And what kind of rock is that white-ish one in the middle back? It makes me think of old sun-bleached ruins... cool stuff! 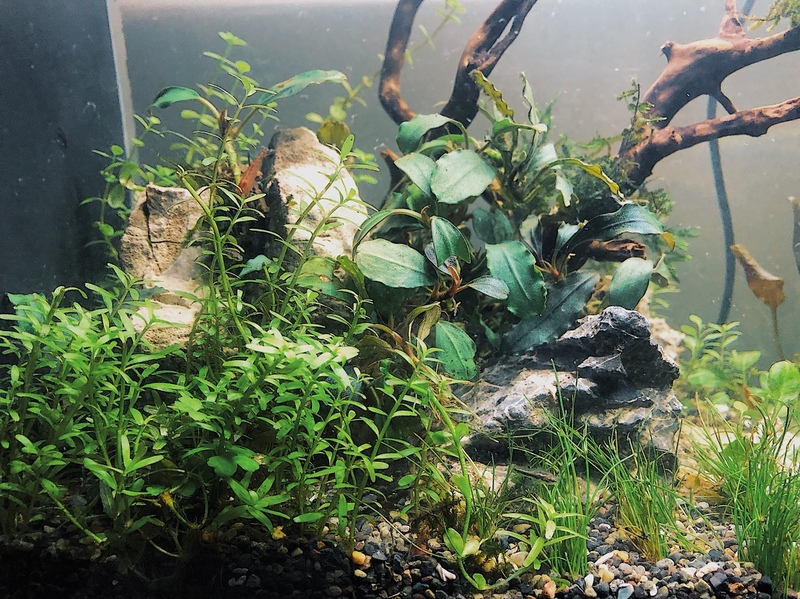 Haha you should’ve seen my first ever scape it was horrible! I’ve just been watching videos on YouTube and I came across the perfect wood at the meeting that the idea kind of just came about. 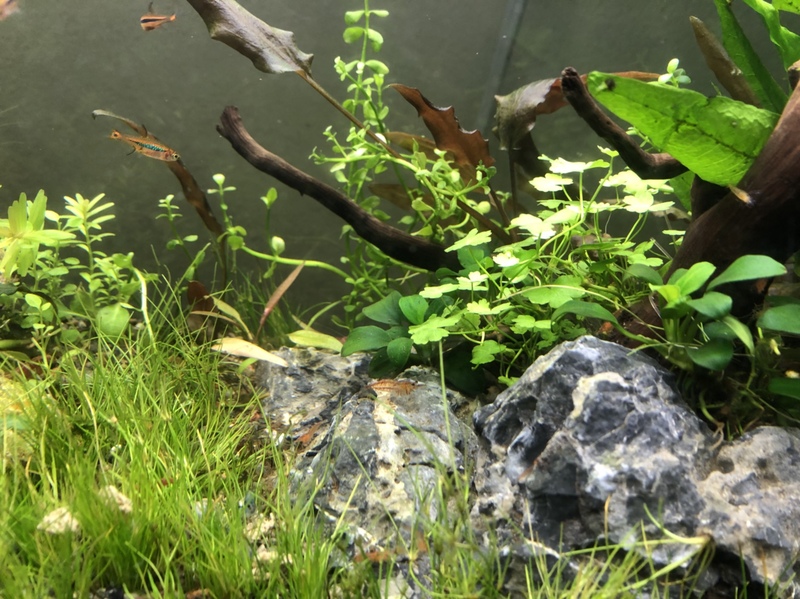 You should post your scape when you’re done! I’d be happy to see it! 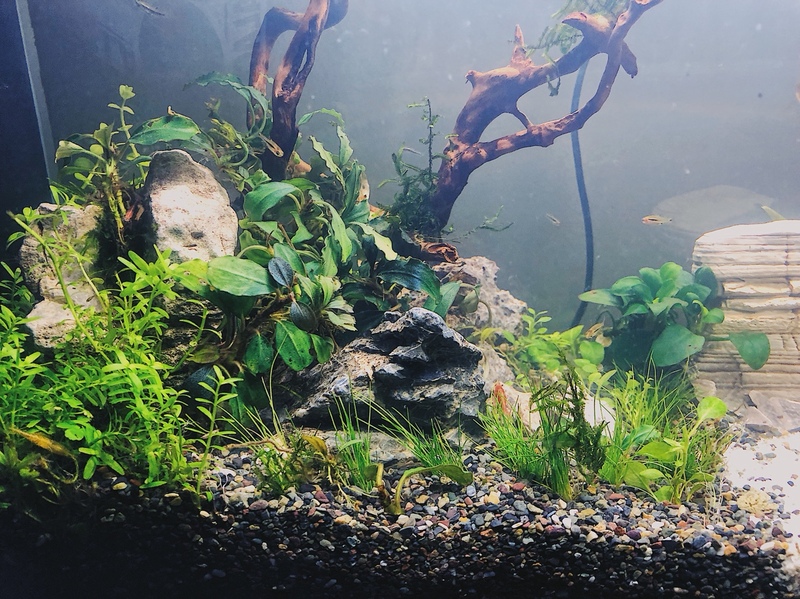 Haha I know I spent about 4-5 hours playing around w this tank... super messy haha but that’s always gonna be there when moving tanks and re scaping lol. Honestly I got it at CK. It was the cheapest rock I found and I didn’t bother to take a look at the name haha but once I can ID it I’ll pm you! 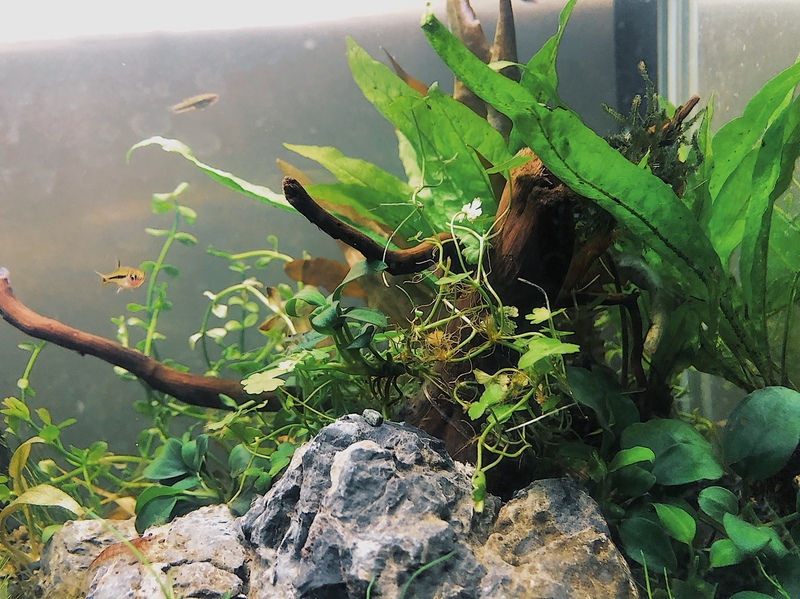 I added more buce today to fill in the gaps... I am not liking the sand anymore but I need to find some sort of lighter gravel. I want to start a carpet. 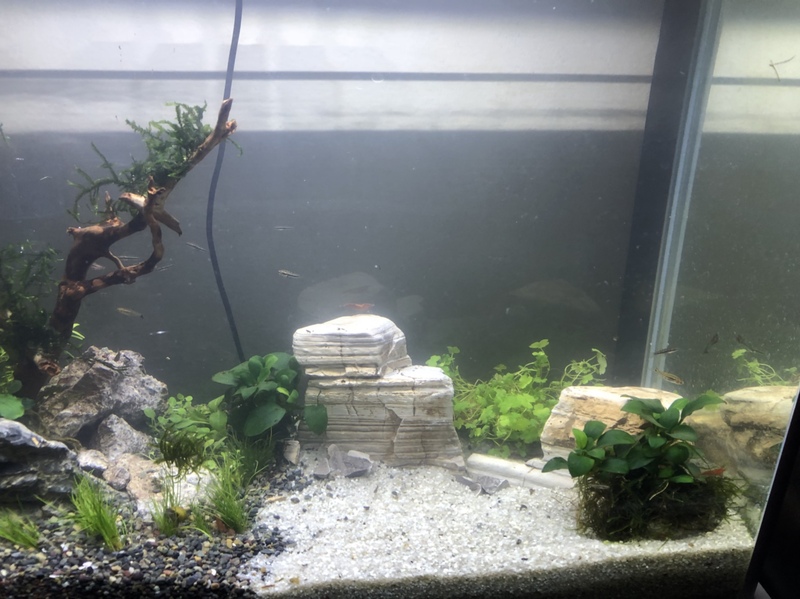 This will be a low tech but will get a better light soon. Lmk. Here are some pictures I took today. Enjoy. I like the rock arrangement quite a bit. So after a week things have been going great. Although the bio film that the wood is creating is kind of annoying. 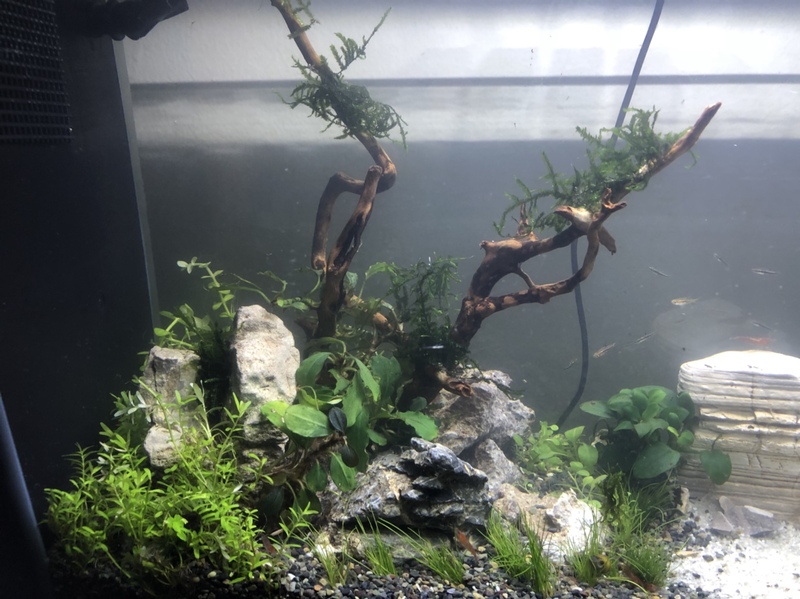 I’m trying to do once a week water changes 60%-75% water changes. 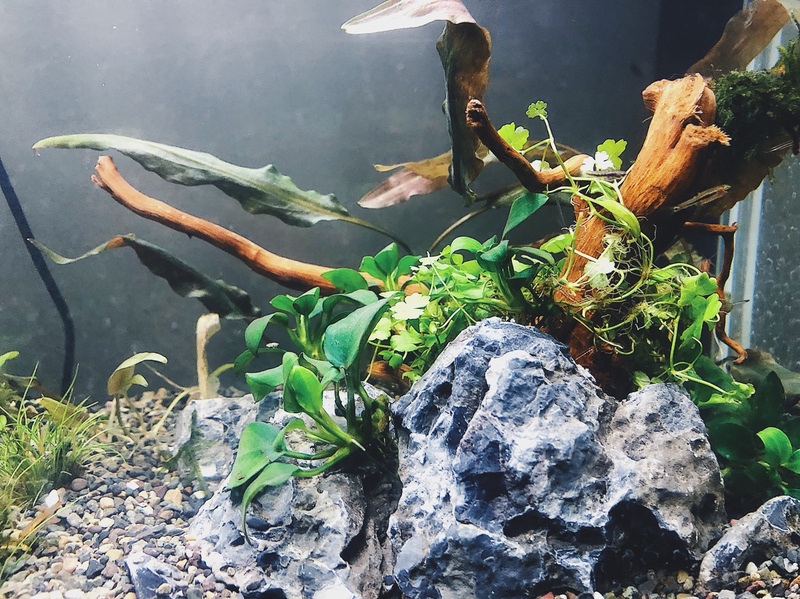 I added java fern and bacopa and some dwarf hair grass (bacopa and hg from petsmart) java fern from lotus aquarium. 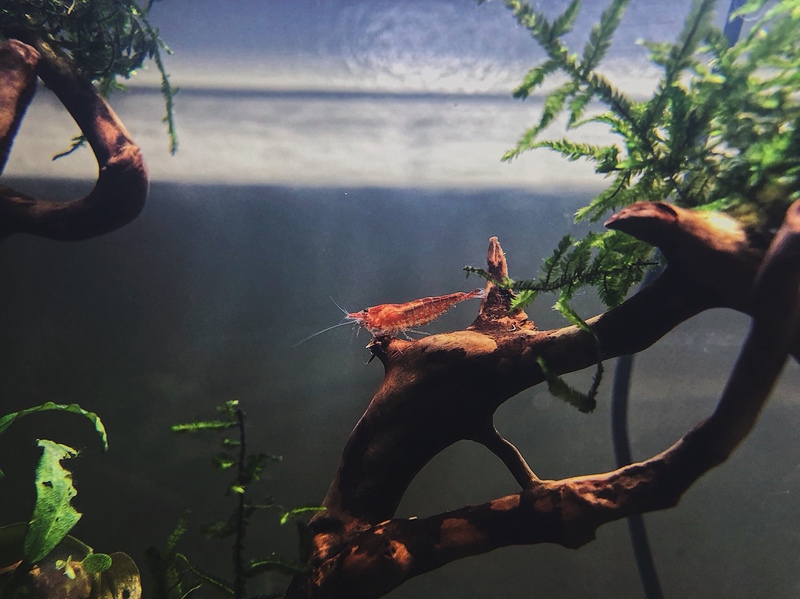 I’ve seen some shrimp fry from the orange shrimp I got at the meet. Will post more pics when I can. Thanks for looking and I always appreciate suggestions and advice. 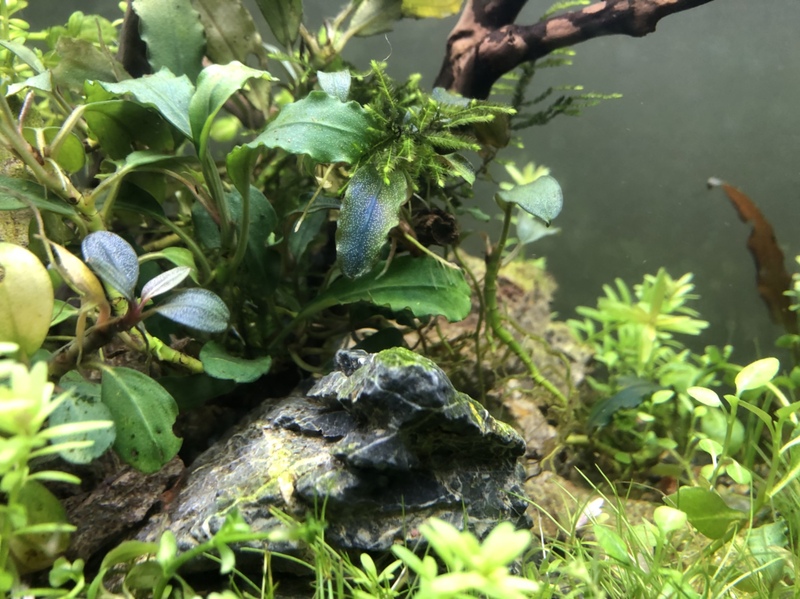 I love Spec V tanks, and you've got this one looking really nice and healthy. Good luck with it as it matures. I seriously considered buying that set up! So glad it found a good home and you have it looking awesome! It will go away quickly. One day you will wake up and it will just be gone. 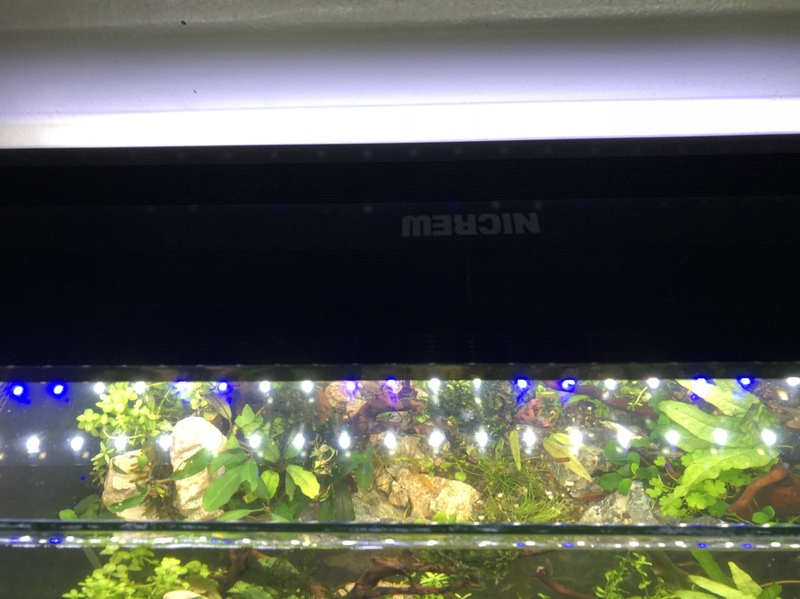 Update: ordered a nicrew led 20-27” aquarium light. 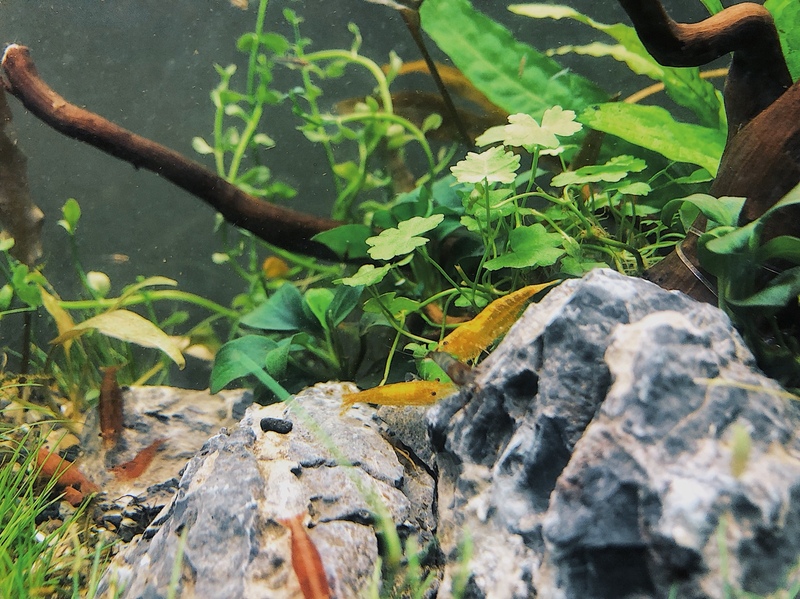 I’ve tried to move some of the baby least killi but there’s so many. 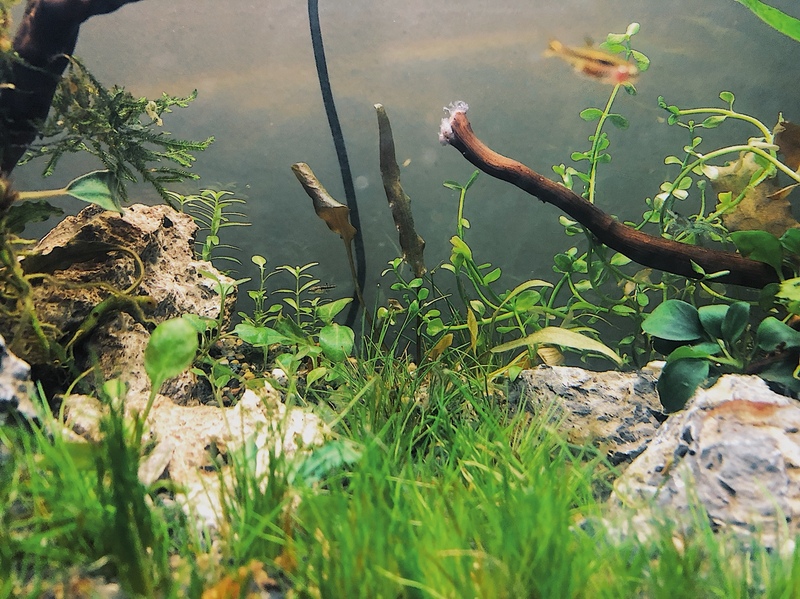 My shrimp colony is starting to expand too! 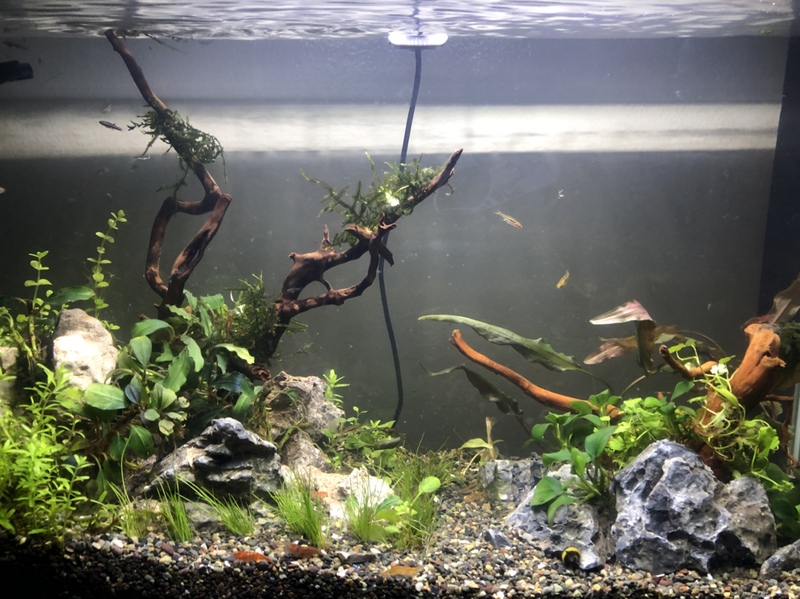 Fresh water change and be fungus is gone just like that!